The anticipated growth of the College, along with the recent and significant private development in Journal Square has created the need to envision the future HCCC to be a more central and important community asset in a new modern mixed use neighborhood. The continued rise in property values will render the college’s holdings of small academic buildings economically unsustainable. 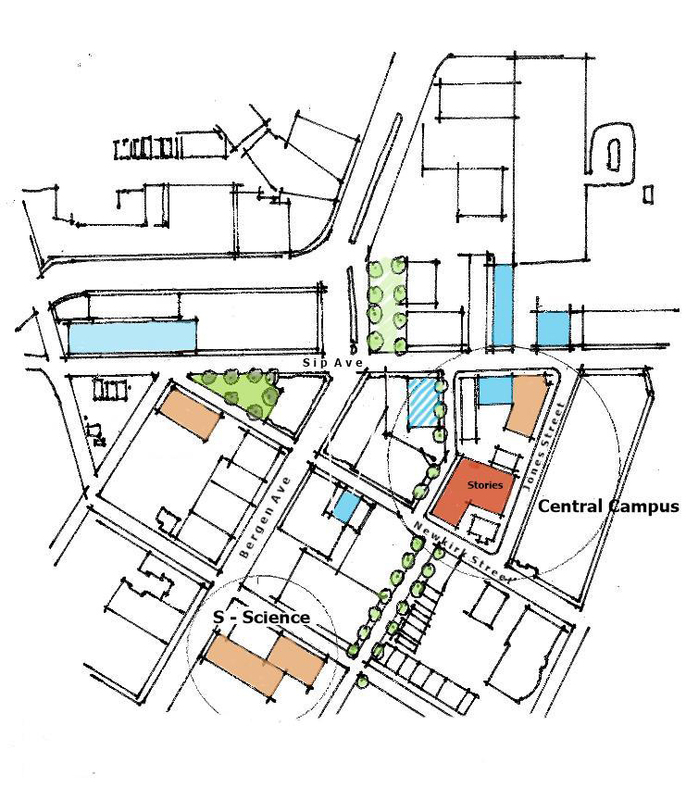 The Master Plan calls for a centralized solution that will leverage the college’s small parcels to create the first of a two phase vertical urban campus. The project will deliver a much needed athletic program and gymnasium along with a student center, modern classrooms, multi –purpose theater, faculty offices and administration functions in an efficient single location. The new approximately 195,000 sf new building and location will be supported by additional and recently completed college buildings to the East, West and South to mark gateways from the neighborhood into the new Journal Square campus.